The 5 most bizarre moments from Pauline Hanson's press conference today. Pauline Hanson finally fronted media this afternoon to address the Al Jazeera investigations that revealed One Nation members seeking donations from the American National Rifle Association, as well as the disturbing footage that emerged of her yesterday seeming to suggest the 1996 Port Arthur massacre was a government conspiracy. It was… difficult to watch, to say the least. Not only because she flatly refused to acknowledge her party – who were secretly filmed by Al Jazeera journalist Rodger Muller approaching US lobby groups for $28 million in funding to water-down Australian gun laws – had done anything wrong, but because she… well, flailed a little bit. Watch: Pauline Hanson addresses media to defend claims her party sought funding from the NRA. Post continues after. While she was unable to speak yesterday as she had been bitten by a tick, leaving her “unrecognisable”, she gave it her best shot today, and from mispronounced names to thanking Australian shock jocks, it wasn’t pretty. 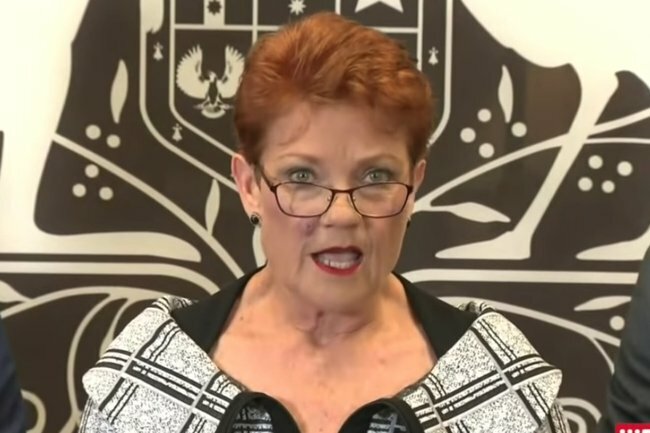 Labelling it “a day of shame for Australian media” Hanson continued to claim that in every video released by Al Jazeera, she, James Ashby and Steve Dickson – both whom she says will remain in the party – had been “stitched up”. “The footage has been heavily edited, therefore the comments appear to have been taken completely out of context,” she said. 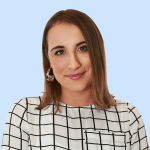 She also denied ever suggesting the Port Arthur attack was a conspiracy, and claimed to have never sought donations from the NRA – although she mistakenly referred to it as the NRMA (National Roads and Motorists’ Association). Referring to Muller as “foreign agent” and Al Jazeera an “Islamist” organisation, she claimed the Qatari government was involved in the two-part documentary How To Sell A Massacre. “This is Australia’s first case of severe political interference from a foreign government,” Hanson said. “Qatar is a government that enforces sharia law, public floggings, genital mutilation and suppression of women. “This is a political attack by Al Jazeera, in co-operation with the ABC,” she added, before singling out the new ABC chair Ita Buttrose. Here are five of the most bizarre moments from the 18-minute speech, after which she took no questions, because of course she didn’t. “Good morning,” she began the 2pm press conference. “Let me make it very clear to the Australian people,” Hanson said. The NRMA being the organisation that provides car insurance and roadside assistance in New South Wales and the ACT. In a very odd move, Hanson thanked Andrew Bolt for his excellent journalism, before reading out a list of her other favourite journalists, from Alan Jones, to Kyle Sandilands and &apos;Dubbo&apos; from Triple M in Brisbane. 5. Claiming James Ashby has just "made some stupid remarks"
"There has been a deliberate and intense effort for years to destroy James Ashby&apos;s credibility since he came to work for me," she said of her chief of staff. "He has made some stupid remarks, as we all have, but I worked so closely with this man for years to know his integrity is unquestionable." ...We wonder if using the excuse of being "on the sauce" when seeking funding from the NRA counts as a "stupid remark"? ¯\_(ツ)_/¯ . Because here are 44 things we&apos;ve done while drunk that don&apos;t include trying to overturn gun laws.